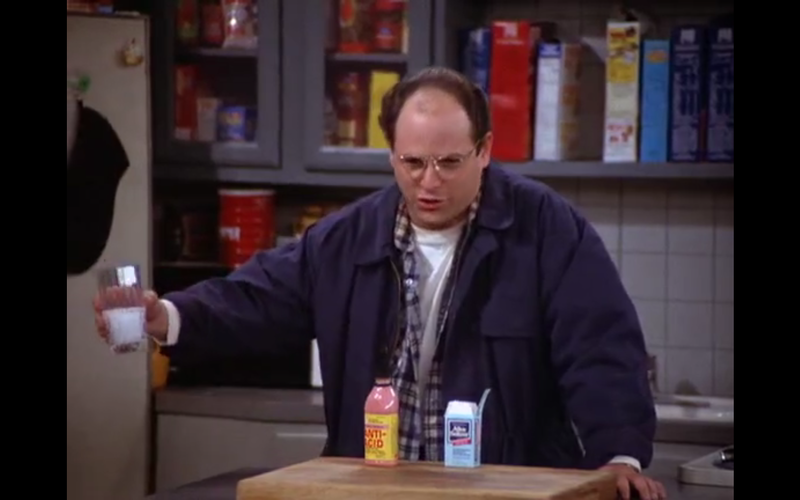 I just don't understand why George is downing this anti-acid medicine. There's literally no explanation for it. 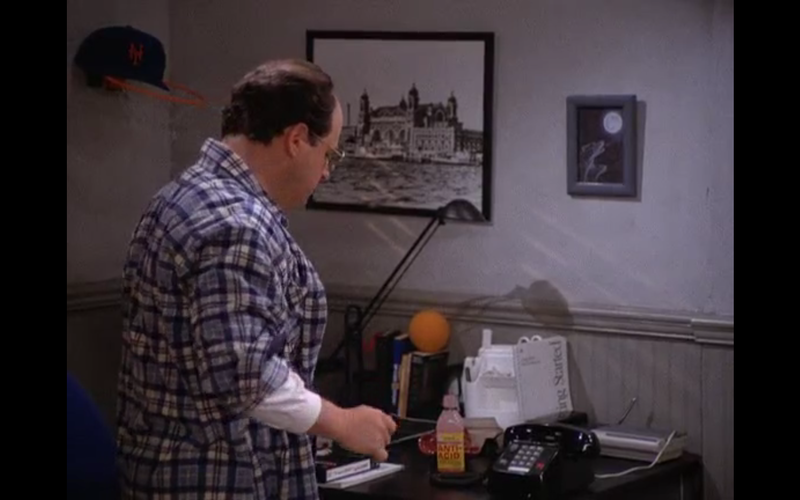 Can someone please explain why Jerry has a framed black and white image of Ellis Island hanging above his desk?